Speaking at a symposium organized by International Law Association in New Delhi, Chief Justice T.S. Thakur on Saturday reprimanded the United States for its refusal to ratify the Kyoto Agreement on carbon reduction. Addressing the seminar titled ‘Principles of Engagement of Domestic Courts with International Law & Recognition/Non-Recognition in International Law’, CJI Thakur concluded that the next World War could be over river water. 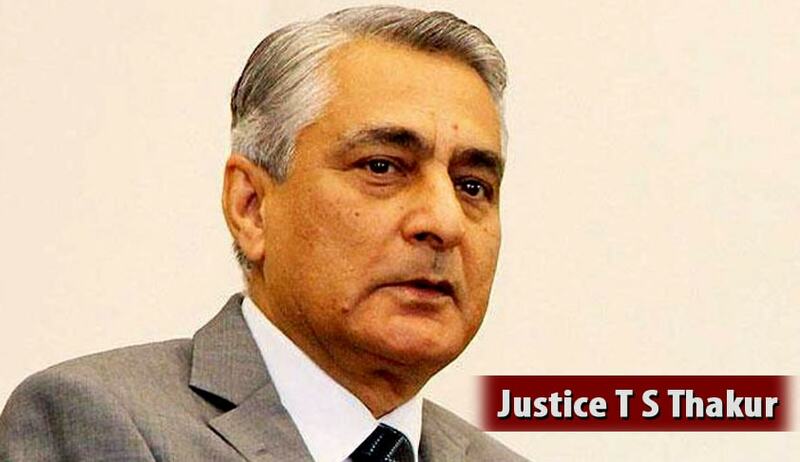 “The depletion of the ozone layer, affecting the entire human race, is not because India is emerging or because we are dependent on coal or because of our thermal plants, which have come under criticism from environmental activists from within the country and outside,” CJI Thakur was quoted as saying. According to the CJI, since advanced nations like the United States have been emitting carbon 10 times more than India for the past 200 years, the international framework should be evolved to apply the polluter pays principle to the US. “In Kyoto, a resolution was passed, and they decided that developed economies should reduce their emissions by at least one per cent. The U.S. refused. Environmental degradation is because of the emissions from industrialized countries,” he said. Supreme Court Judge, Justice A.K. Sikri also spoke at the seminar, noting that when it comes to human rights, the Vishaka case is applauded the world over. However, he considered it a subject of debate whether the Supreme Court overreached its powers in issuing the directions. Justice Sikri pointed out that the Apex Court can apply principles of international treaties and conventions in the context of Fundamental Rights as guaranteed by the Constitution of India. “We had to bank on international human rights laws to recognize transgenders as third gender since the Indian law was in conflict,” he was quoted as saying.